Do you like God? Do you think God likes you? Have you ever heard anyone say something like, “Love is a commitment of the will?” Here’s an 11-minute Reasonable Faith audio from William Lane Craig and Kevin Harris that demonstrates the value of checking our theology. Love is a commitment of the will. But if that’s all love is we had better work on our understanding of the character and nature of God. It’s really, really important to get this straight. And for the record, not that I would want to argue with William Lane Craig, but I don’t think Calvinists have the corner on this issue by any means. In 2013, we remember the 50th anniversary of the death of C.S. Lewis. Though his death back then was overshadowed by the assassination of President John F. Kennedy, I would argue that at least for followers of Jesus, C.S. Lewis has had a far more profound and lasting influence than even JFK…. but how well did he do as a theologian? Lewis was clearly the most popular Christian apologist of the 20th century. His works have been cited as a major factor in the conversions to faith of numerous prominent Christians, ranging from the scientist and U.S. National Institutes of Health director, Francis Collins, to the British atheist and molecular biologist turned theologian, Alister McGrath. Lewis’ Chronicles of Narnia books remain bestsellers among children’s fiction, several of the books having been portrayed in big-budget, major motion pictures. He was a member of the Inklings, a group of Oxford scholars that included such literary luminaries as J.R.R. Tolkien, author of The Hobbit, and (indirectly) Dorothy Sayers, the inspiring visionary of the classical Christian education movement. 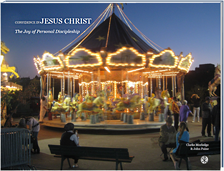 Lewis’ classic introduction to Christian faith, Mere Christianity, is also the slogan for a major Christian magazine, Touchstone, and his writings form part of the “canon” of many homeschooling curriculums. 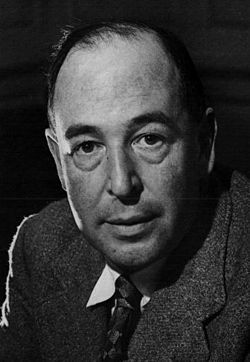 For any Christian living in the past fifty years or more, Lewis has been big stuff. However, where does Lewis stand now in the mind of 21st century Christianity? Oddly enough, his legacy is somewhat controversial among some Christians. The international media highlights the conflict between the secular elite and Islamic fundamentalists in Egypt. 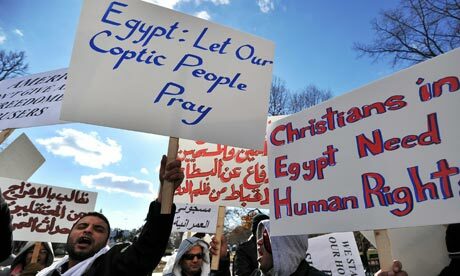 But what about Egypt’s historic Christian community, the Copts? How should believers around the world pray for them? Since the Arab Spring of 2011, Egypt has been a focal point of political renewal … and unrest. Much of the conflict in Egypt is between a secular minded ruling class and a resurgence of fundamentalist Islam. What will take shape in Egypt? A Westernized secular democracy? A return to a traditional Islamic state? What many do not realize is that there is another group of people in Egypt often caught in the middle: the Coptic Christians. It is a situation where many other Christians, like me, here in America, find it difficult to comprehend.